Ok – don’t know what I did when I posted on here but now I keep getting these pop-ups from Shoutout Edmonton in the lower left of my screen whenever I log into my Google Chrome Browser. Don’t know how to unsubscribe or whatever I need to do to stop it. SO ANNOYING!!!! Clicked on the contact us on the Shoutout page but it just asks me to make a post – so here I am —-BEWARE….. use this sight once and forever get notified every time there is a new post. PLEASE STOP THE CRAZINESS>>>>WHAT HAVE I DONE!!!! 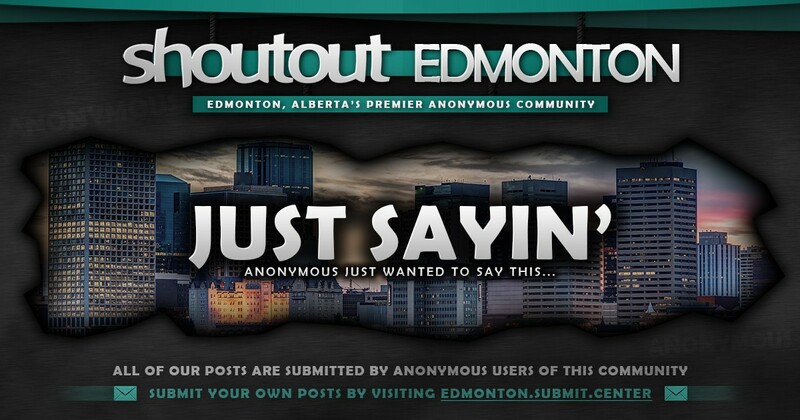 You’ll have 3 little dots, on the top right of Shoutout Edmontons’ page. Click on that and you will find the answers, in which you seek. I’m just getting tired of the same people commenting over and over, mainly myself. you will see an icon of a lock right beside our webpage address. Click it. Here you will see an option to turn off notifications.